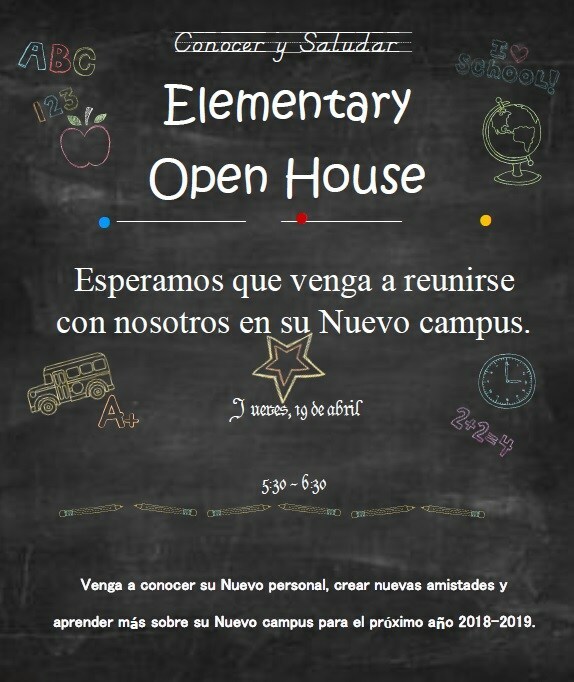 If you were re-zoned to a new elementary school this announcement is for you! 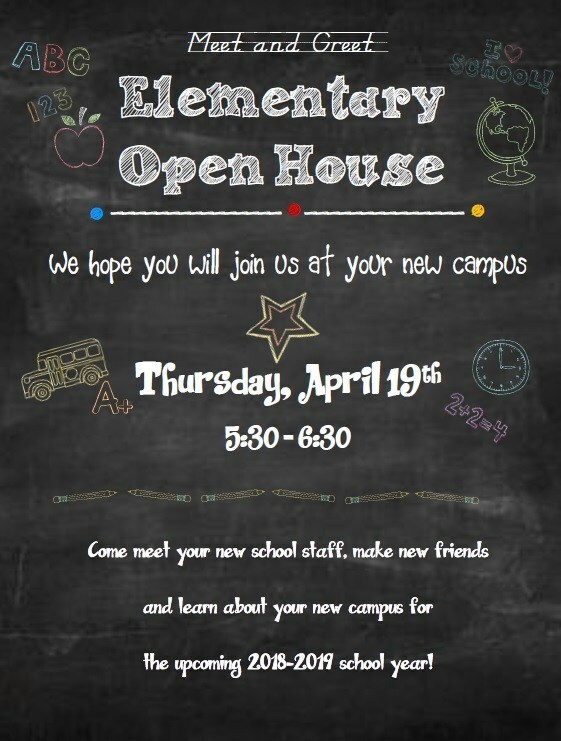 We're hosting an OPEN HOUSE for you to get to know your new campus and staff. 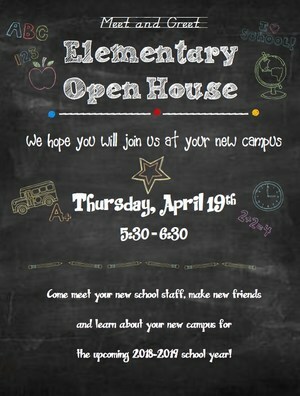 There will be a brief presentation before you get to meet your child's new teachers. 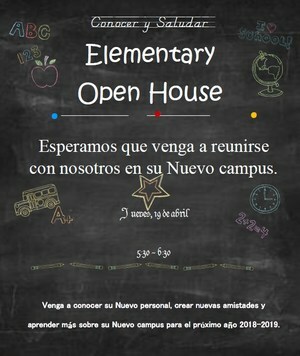 Brown Parents: Your open house will take place at the current Brown Elementary campus. Not the new construction campus.